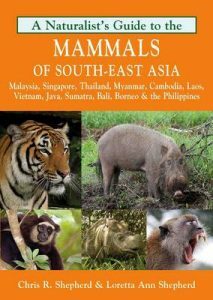 A naturalist’s guide to the mammals of south-east Asia: Brunei, Cambodia, Indonesia, Laos, Malaysia, Myanmar, the Philippines, Singapore, Thailand, and Vietnam. Artist/Author: Shepherd, Chris R. and Loretta Ann Shepherd. High quality photographs from some of the area’s top nature photographers are accompanied by detailed species descriptions which include nomenclature, size, distribution, habits and habitat, as well as interesting snippets of information about the mammals. The user-friendly introduction covers geography and climate, vegetation, opportunities for naturalists and the main sites for viewing the listed species. Also included is an all-important checklist of all of the mammals of South-East Asia encompassing, for each species, its common and scientific name, IUCN status as at 2011. Artist/Author: Sha, John C.M., Ikki Matsuda and Henry Bernard. 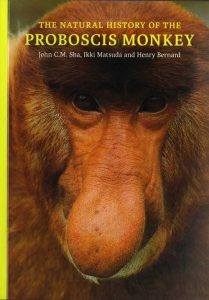 This well illustrated monograph covers aspects of Proboscis monkey natural history and conservation. Chapters include activity and behaviour, social organisation, feeding ecology, ranging behaviour, natural predation, threats and conservation.